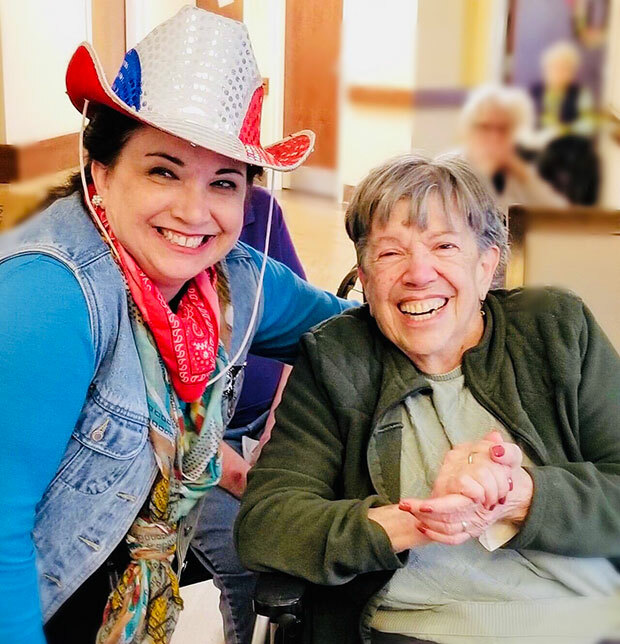 Over the weekend we had our variety show presented by Laura Blair who has been coming to our facility as an entertainer for a little over 2 years now. Our Residents just love her silly, corky self and her shows. Here are some pictures of our Residents enjoying the country theme portion of the show. We have family members that were in town visiting one of our Residents and they even "got down" with it. The Woods on French Creek Health and Rehabilitation Center and its parent company, Foundations Health Solutions, strive to be a "Culture of Care" - in every aspect of what we do. Whether physical health and rehabilitation or nurturing relationships and community, we aim to cultivate strong and healthy lives. Founded by Brian Colleran, Foundations Health Solutions is Ohio’s premier long-term care company. Formerly doing business as Provider Services, our team of experts has more than 15 years of experience successfully supporting over 100 multifaceted long-term care facilities. We have family members that were in town visiting one of our Residents and they even "got down" with it. Our Residents and staff enjoyed the food and good music while celebrating the Cleveland Indians Home Opener, go Tribe! Another great arts and crafts activity at French Creek! Our residents treated themselves to a salon day for their birthdays! Happy St. Patrick's Day from French Creek!